Being home in Ireland for Christmas has meant two things drinkwise. Good Guinness and an international selection of wine. In even the smallest shop down to the local garage in Dalkey­ there are reasonable wines from South Africa, Chile and Australia. In larger shops you will also find French wines, mainly Burgundy and Bordeaux, but the prices are so outrageous, I only look at them for a laugh. On average, a bottle of wine that costs about 6 euro in France will cost about 16 euro here. Partly, that is the result of VAT at 23 per cent, and partly shipping and transport costs, but that still leaves quite a wide profit margin. 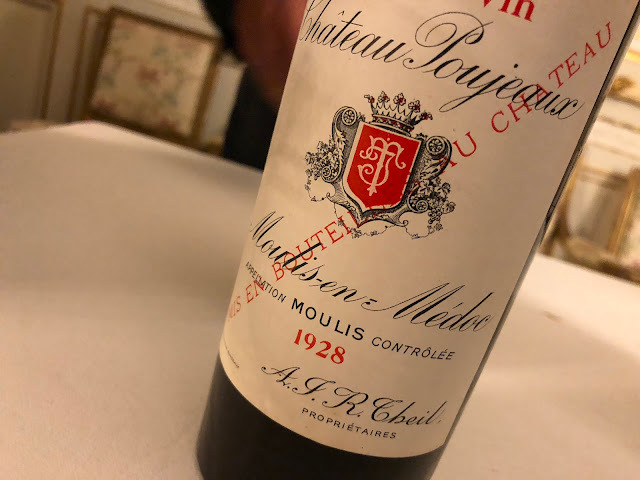 And since VAT and shipping apply to all wines, not just French, quite why Bordeaux and Burgundy prices are so crazy compared to the New World selection is not clear. Turning away from the French shelves, the New World is laid out in force. America, Chile, Argentina, Australia, South Africa all have major presences. And asking the often fruitless question about biodynamic wines I am actually taken to shelves, small ones, but shelves dedicated to organic and biodynamic wines­ and they are not from France. Being a bit lost in the New World, apart from South Africa, I have been advised by a family friend to always go for Argentina over Chile. I'm given lots of other advice too, mainly in the pub, and mainly about top hole Australian vintages that compare more than favourably with Bordeaux - but I don't remember it all because I am too busy savouring the Guinness. Either my palate has woken up after three years of wine tasting in Bordeaux or there is now a significant difference between the taste of home brewed Guinness and that made abroad. In Ireland it has a depth and richness that I realise I have been missing. It's a bit like going from two dimensions to three. We order more. After one lunchtime gathering I have managed three. And discussed the Irish property market crash in detail the word is that prices are down by 10 to 12 per cent. Not the official four. Absorbing this we order another round of what are simply called pints - if you want something other than Guinness you need to ask for 'a pint of X'. It tastes even better than the first three. I am home.